I love Valentine’s Day. Yes, it is a very commercialized holiday but all the cute things just play right into my crafty soul. 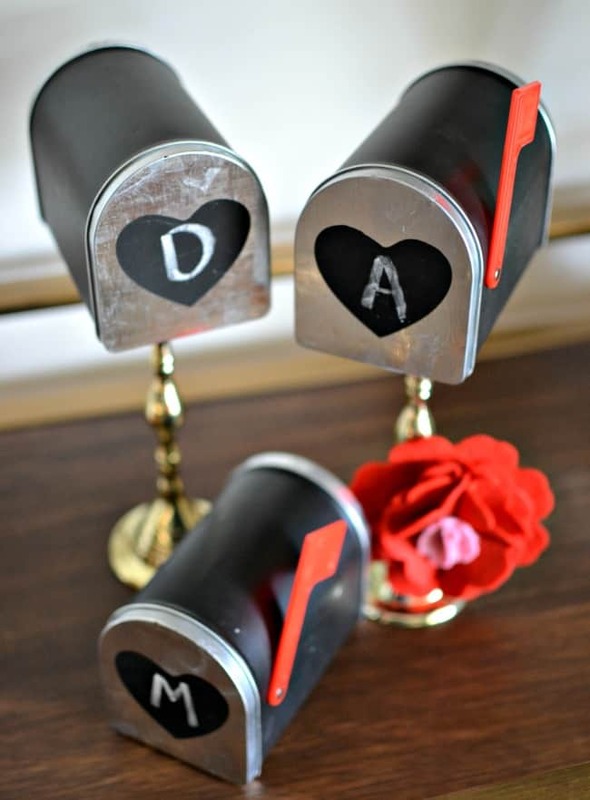 Like these super cute Valentine’s Day mailboxes. Aren’t they just charming? I won’t go into a whole tutorial. This one is pretty common sense. 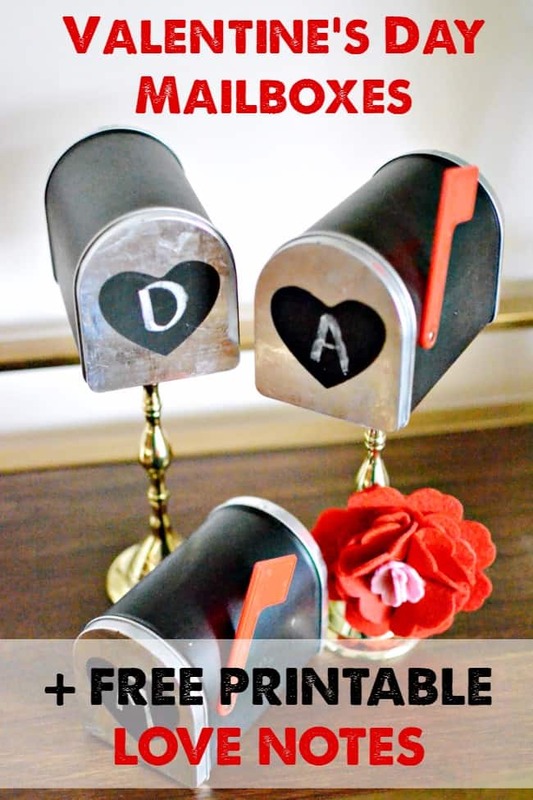 You can pick up these tin mailboxes at the dollar spot of your local Target. If you are reading this after the fact you can also find similar ones here. 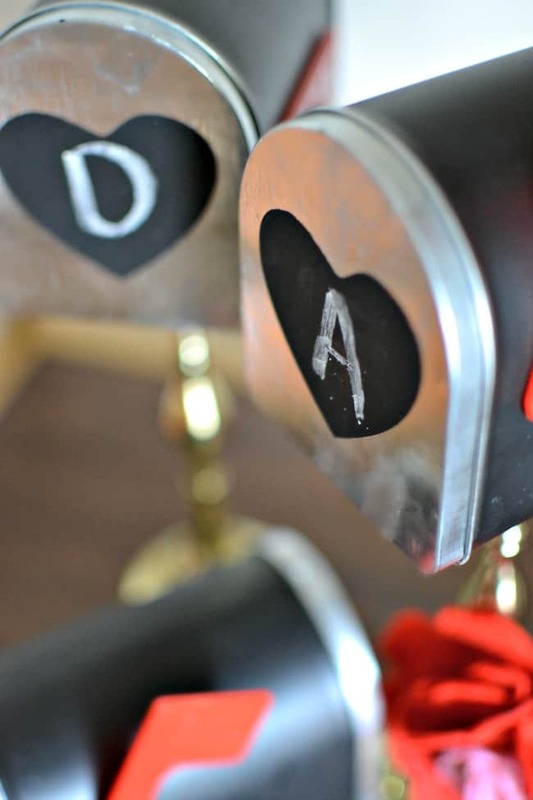 I just attached mine to a few of my favorite candlesticks using hot glue and tada you have the cutest little love note station. Check your local thrift shop for candlesticks, they usually have a wide variety. I plan to use these to countdown to Valentine’s Day with my daughter and husband adding little love notes and goodies in daily. Who says Christmas is the only time we can countdown to a holiday right? 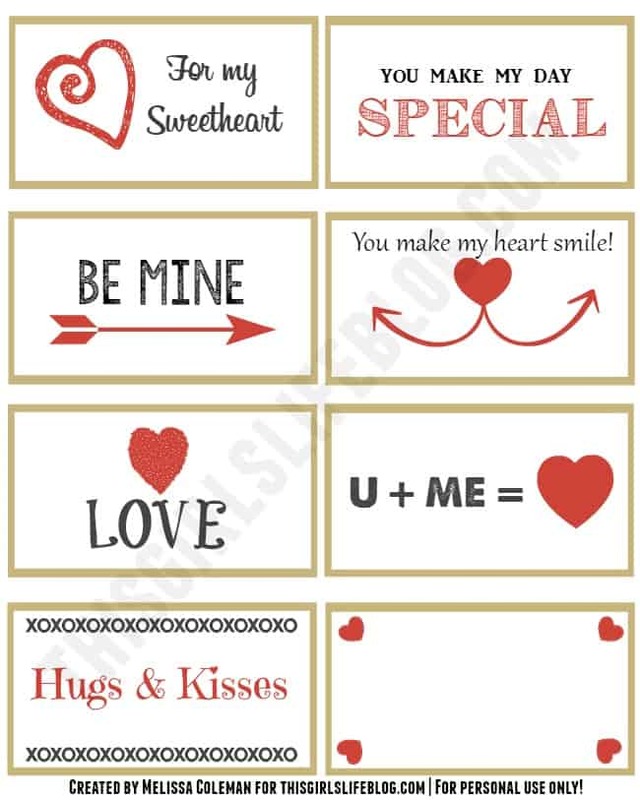 I thought I would make up some cute printable love notes to get you started plus one for you to write whatever your heart desires. It won’t take you through all 14 days but it’s a good start. They are free to print, just please only use them for personal use only. 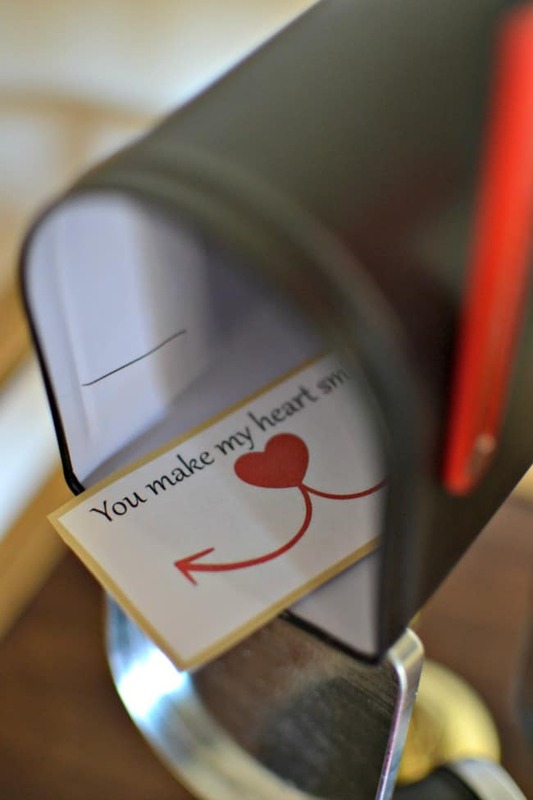 I also think these would make really cute love notes to send in your kids school lunches. SO adorable! I am definitely going to print out some of these – Thank you so much! Thanks for the printables! They are all so cute! The mail boxes look great. Thanks for the free printables. How cute! I’ll have to look for these at Target. Thanks for the printables! We have the mailboxes from years ago. Love the look of putting them on a candlestick! What an adorable project! Love the printables, too! Great idea! These are going on my craft to-do list. I’m going to have to head to Target to get a few of the mailboxes.